A few days ago, Brussels served notice that NATO refuses to cooperate with Russia on Afghanistan. Furthermore, the alliance is shunting aside any opportunity to return to the level of cooperation with Russia that it had before. The causes are obvious. The deep divisions concerning the matters of Syria and Ukraine have brought about a freeze. Regardless of that, however, the NATO demarche is not promoting regional stability. On the contrary, it fits with the view of many experts that NATO is deliberately trying to surround Russia’s southern flank in an arc of instability. The United States has decided to begin a new war on international terrorism in Iraq, Syria, Afghanistan and parts of Pakistan. At the NATO summit in Wales, the American plan received the full support of the alliance. The primary enemy in this war is the terrorist group called the Islamic State. Incidentally, they’re the rebels Washington nurtured, the ones who got military aid and were trained by American instructors in Turkey and the Gulf countries. Having firmly established their presence, they are now freewheeling independent operators marching to the beat of their own drum. Now Washington is fighting against them. But characteristic is the fact that when Syrian President Bashar Assad consented to the bombing of the “caliphate’s” positions in Syria, Turkey, which had previously taken great pains to distance itself from its NATO allies and their anti-terrorism operations, sprang back to life instantaneously. Taking advantage of the extremely complex Kurdish refugee situation, Ankara needed little time to decide that Turkish troops could be inserted into Syria. Turkey was acting on the Syrian Kurds’ request for help and safety in response to the Islamists’ capture of the tomb of Shah Suleyman, who was the grandfather of Osman I, the founder of the Ottoman Empire. This Syrian exclave is considered Turkish soil. Damascus, naturally, is dead-set against the Turkish course of action. It is becoming clear to everyone that the so-called “anti-terrorist operation” is just another attempt to overthrow the Assad government. Meanwhile, the arc of instability is spreading to new areas. The frustrations are about to spill over into Lebanon, Jordan and Afghanistan. 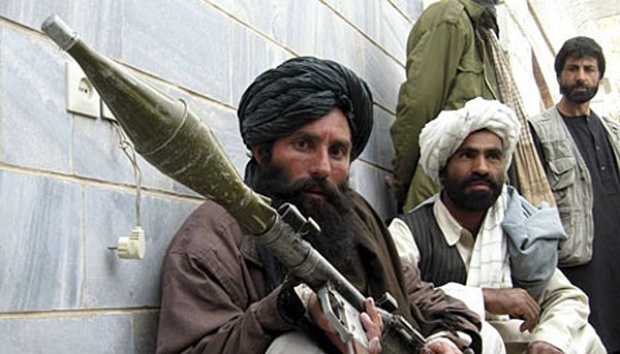 In early September, Taliban militants announced that they were switching to the Islamic State side. On 26 September, the leader of another extremist group, the Islamic Movement of Uzbekistan (IMU), Usmon Goziy, declared that the IMU is joining the Islamic State group. The impending danger it brings to Central Asia is obvious. Experts are not ruling out the possibility that what is happening will provide an excuse for the United States to try to gain a foothold on Russia’s southern frontier in Central Asia, with the U.S. saying that it is standing up to the caliphate. That is to say, the Americans will use an aspect of the struggle against the Islamists as Turkey is doing now — to carry out very specific geopolitical objectives. He explained why the threat to Central Asia and Kazakhstan is more imminent than in the Caucasus, for example. “Russia has spent 20 years building a sturdy apparatus in the South Caucasus that can handle any major regional flare-ups, from a possible war in Nagorno-Karabakh to a possible war between Armenia and Azerbaijan, to an unlikely attempt by Georgia to recover lost territory. The Caucasus is well-defended. Central Asia, on the other hand, can’t be reinforced ahead of time. The problem is not just the extensive border with Kazakhstan (the Russian-Kazakh border runs for 7,500 kilometers). The peoples who inhabit this area are united by their shared Muslim, Soviet and Russian culture. Central Asia’s Islamism has tight mutual bonds and mutual reach with the Islamism of the Volga, the Urals and Western Siberia. It is here that the armed groups seek religious radicals. Besides traditional extremist groups such as the Islamic Movement of Uzbekistan, Central Asian nationals could very well be fighting for the anti-Assad forces in the Syrian conflict. According to official data alone, there are more than 4,000 such people. Once they return home, they can pose a serious threat to the governments there because with the exception of Tajikistan, those countries’ armed forces haven’t seen real combat. Western intelligence agencies have experience sending militants from the Middle East to CIS countries. Pro-Russian fighters in Ukraine’s civil war have repeatedly reported encountering mercenaries from Syria who opposed them in battle. In light of this, the establishment of American bases in Central Asian countries appears plausible. The United States is known to be scouting Karshi-Khanabad and Termez in Uzbekistan, and it’s not counting out Kazakhstan either. “The odds of American military facilities cropping up in these countries are low, but it is possible,” Sobianin said. Since losing its air base in Kyrgyzstan, the United States has started negotiating with the authorities in Uzbekistan. Despite the fact that the country is legally prohibited from hosting such facilities, the American military presence could be drawn up as a logistics center or rapid response hub that transitions into an actual military base over time. Gen. Lloyd J. Austin, the leader of U.S. Central Command, visited Tashkent in early September. He held a series of meetings with Uzbek officials and was received by President Islam Karimov. Information about U.S.-led talks about deployment of American troops to Uzbekistan was leaked to Uzbek opposition media outlets. For his part, Konstantin Syroezhkin, the lead researcher at the Kazakhstan Institute for Strategic Studies, is convinced that the United States is clearly outplaying Russia, and Moscow still doesn’t seem to be trying to develop a coherent policy on the CIS in general and Central Asia in particular. “Russia is playing it by ear, and unfortunately, that doesn’t always work,” he said. As for the United States’ overtures to Uzbekistan, he sees them as “a purely tactical move, lasting only until the withdrawal of coalition forces from Afghanistan.” He is sure that down the road, the United States will have recollections about Uzbekistan’s human rights record, etc. However, the main purpose of the flirtation between Washington and Tashkent is “to influence the foreign policy positions of neighboring Kazakhstan, especially pertaining to the curtailment of Kazakhstan’s participation in Russian and Chinese integration projects.” Moreover, the United States would, of course, like to see Astana take a more “loyal” stance regarding Syria and Iran, he concluded.